Sometimes you can exchange a few words with a person and just instantly know that s/he is someone you’d like to get to know better. 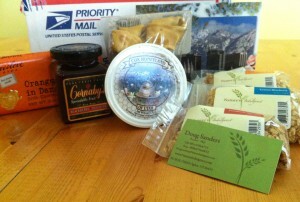 That’s exactly how I felt when I got an email from Lisa S., my July Foodie Penpal. When I read her email, I just knew that she was probably an interesting person because the tone of her email was really warm. She asked me a few questions about food allergies, and likes or dislikes, asked about my pets, and told me that she was from Salt Lake City, Utah. 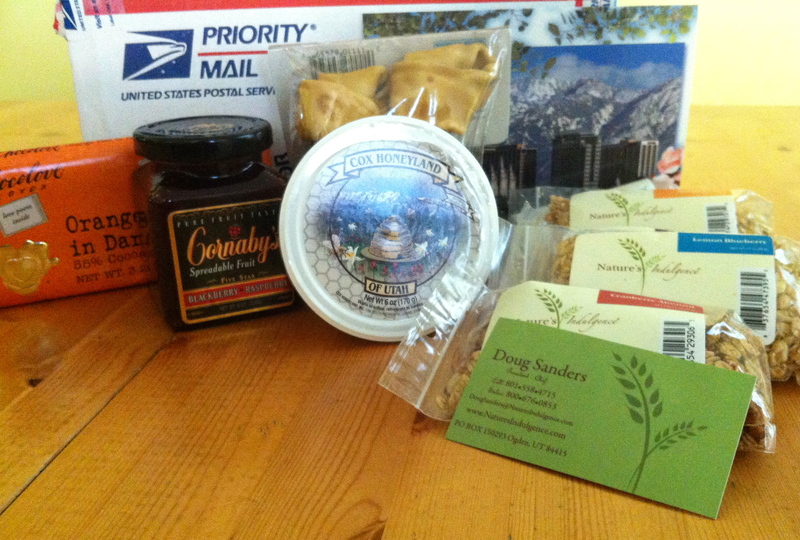 After I gushed about SLC, she decided that she was going to fill my box with local SLC goodies. Good choice! Sometime in the middle of the month, I picked up my box at the post office. 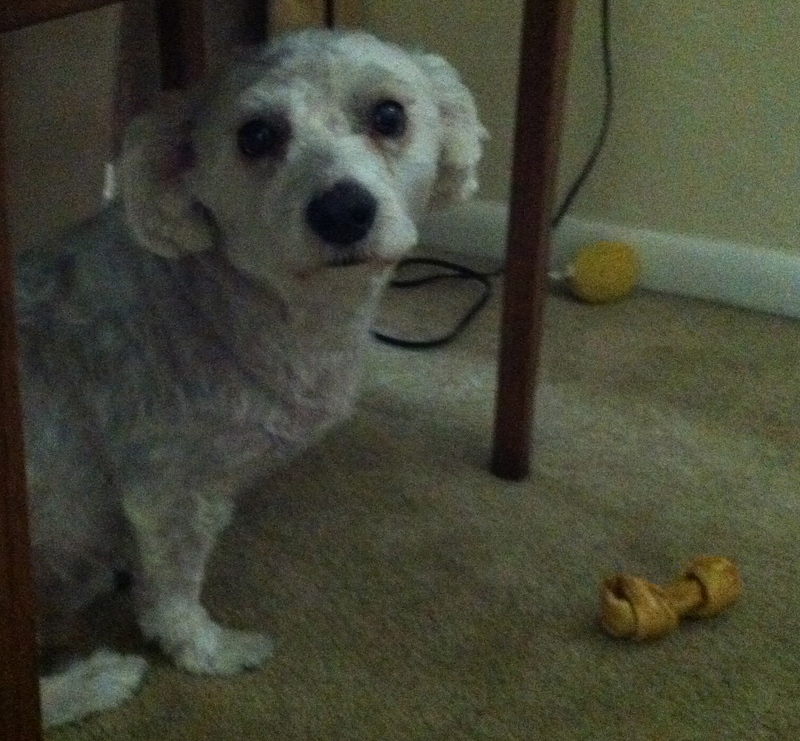 I should have known that something was up because as soon as I walked through the door with the box, my dogs were all over me, sniffing me and the box. 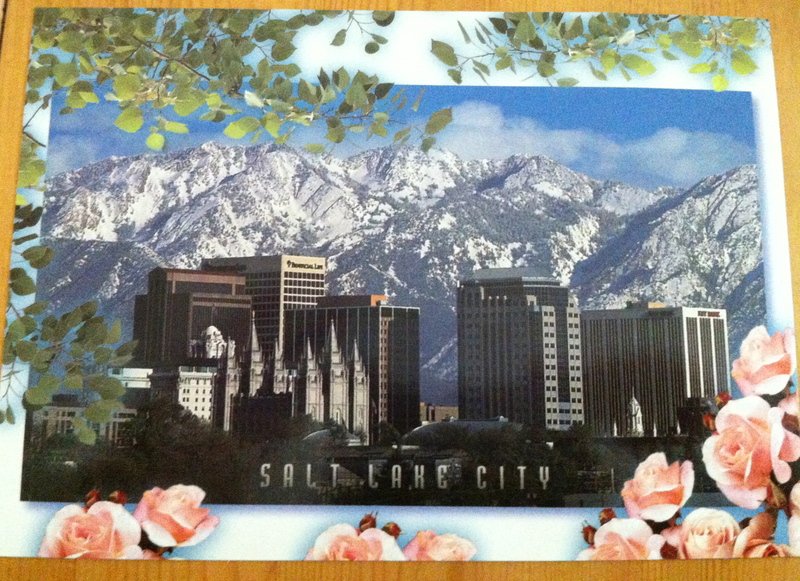 As soon as I opened the box, I saw a postcard from Lisa! I LOVE postcards. I just love that glimpse of somewhere else and a few well chosen words. 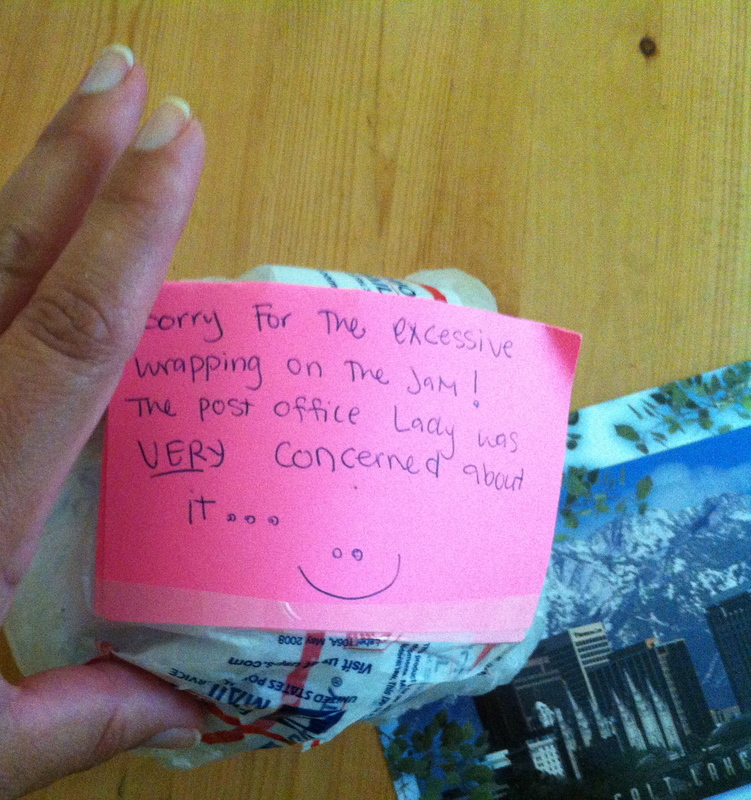 There’s something really thoughtful about the fact that Lisa decided to include a postcard instead of the usual note. She explained that she’d gone to a local farmer’s market to pick up everything in the box (yay!). Box of Utah from Lisa S.
Lisa kept her word and sure enough, everything that she sent was from the area, and all of it was delicious. 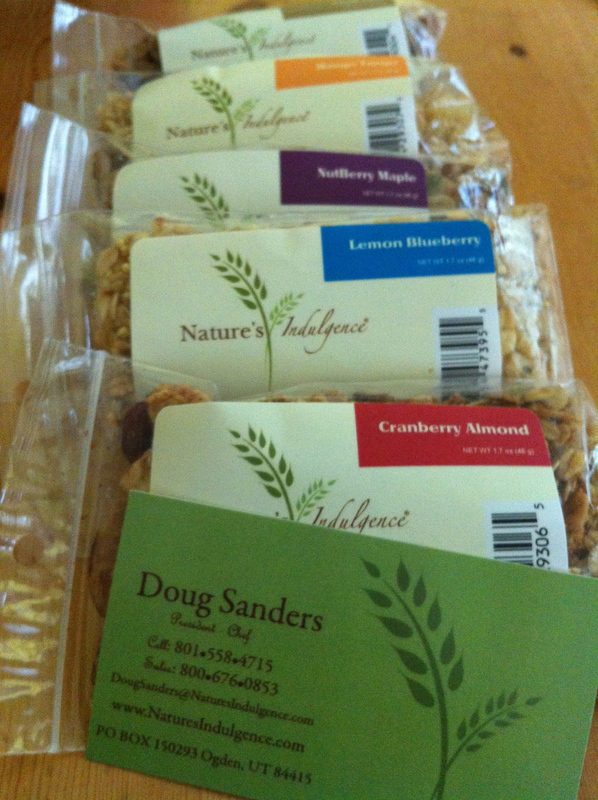 Lisa sent several packs of Nature’s Indulgence granola. Nature’s Indulgence is a family owned business in Ogden, Utah, and they make this granola in small, yummy batches. You can order their products online, and they have some free recipes on their website. As soon as I opened the bags, I could tell that each was really fresh. A few days later, I had the vanilla flavor over pancakes – fantastic. But I’m really looking forward to trying one of the recipes on the website, for Lentils a la Nutberry Maple. I love lentils, but I’ve never had them paired with a sweet flavor like this. I think that the textures of the lentils and the granola will go really well together. Then I pulled this out of the box, and had a really good laugh. I instantly had a visual of poor Lisa at the post office, being forced to wrap and re-wrap this container until the clerk was satisfied that it wouldn’t explode in the box. Turns out that it was worth the wrap. Yum. I love sweet things. 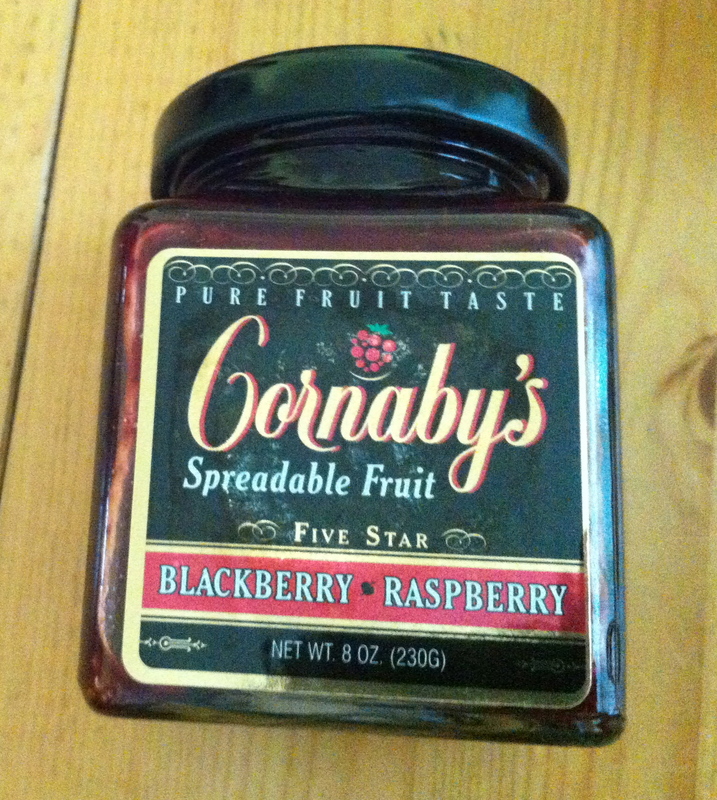 I love jelly, jam, spreadable fruit, whatever you want to call it – sugary fruit plus sugar. 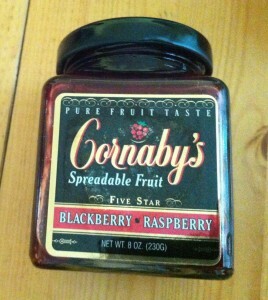 This spreadable fruit from Cornaby’s is delicious. Lisa later told me that she’d sampled several flavors and like this one the best. I dug into this with a spoon right after I took the pictures. Along the lines of sweet . . . I love honey. I know some people who have a jar of honey in the pantry and there it remains until it crystallizes. Not me. I use honey for cooking, in my tea, and especially for dessert with ricotta cheese. This one is really creamy and flavorful. 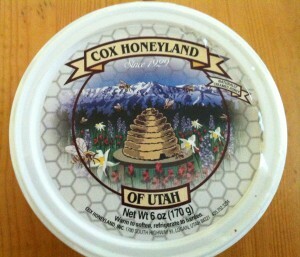 A++ Made by Cox Honeyland in Logan, Utah. 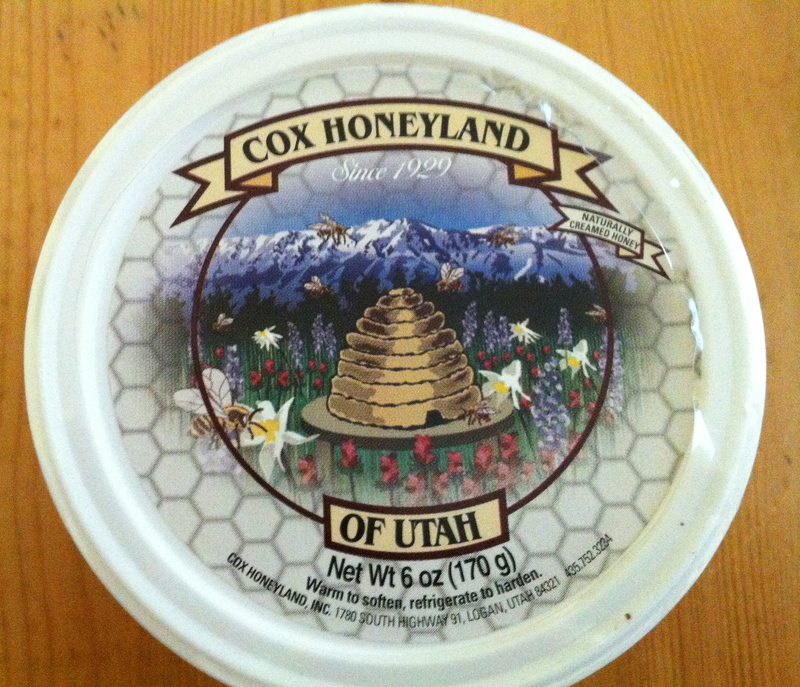 The Cox family has been beekeeping in Utah for over 100 years. I might have to order this honey sampler! 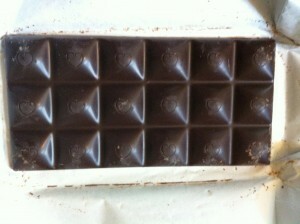 Oh, the chocolate. 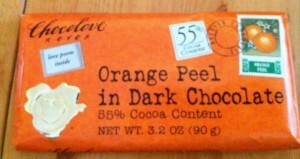 Lisa included a bar of dark chocolate with orange peel from Chocolove. I love citrus, especially oranges and lemons. 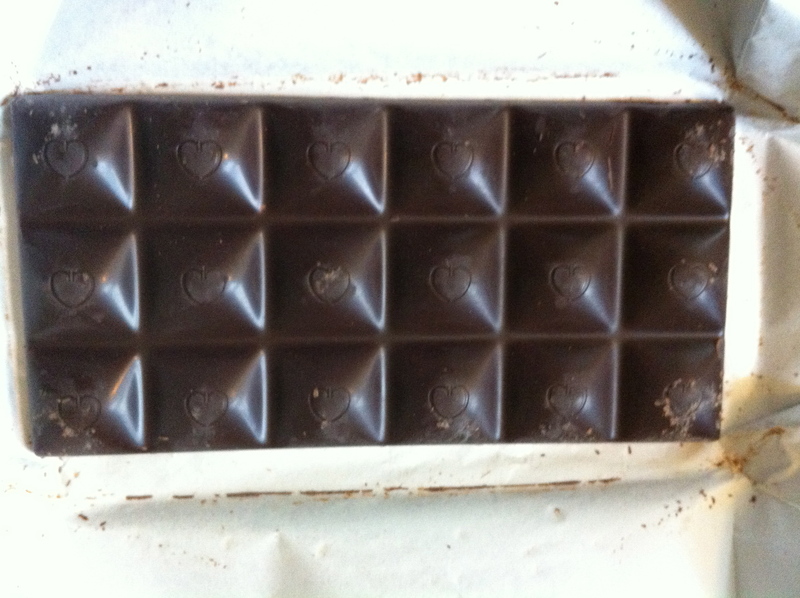 And of course, I love chocolate. I finally opened this bad boy up on Saturday. This is another fantastic product from Utah, but honestly, as soon as I tasted it, it made me think of Italy. 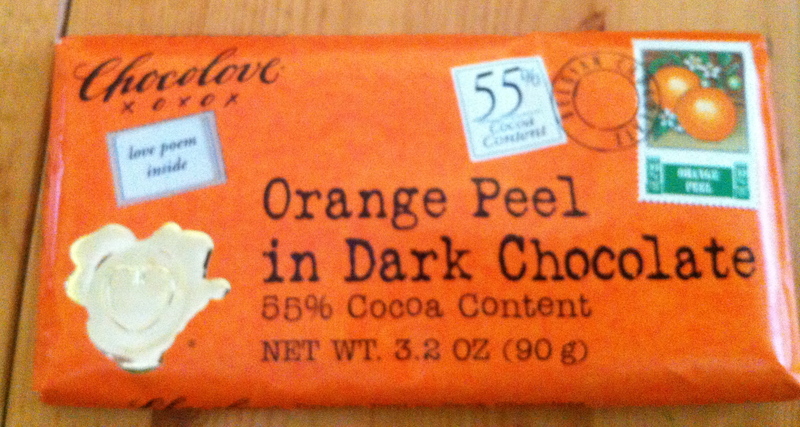 The combination of orange and chocolate is so classically Italian and tasting this chocolate bar reminded me of buying chocolate covered candied orange peel at Christmas markets in Italy, like the one in the Piazza Navona, Rome or the Oh Bej! Oh Bej! in Milano. 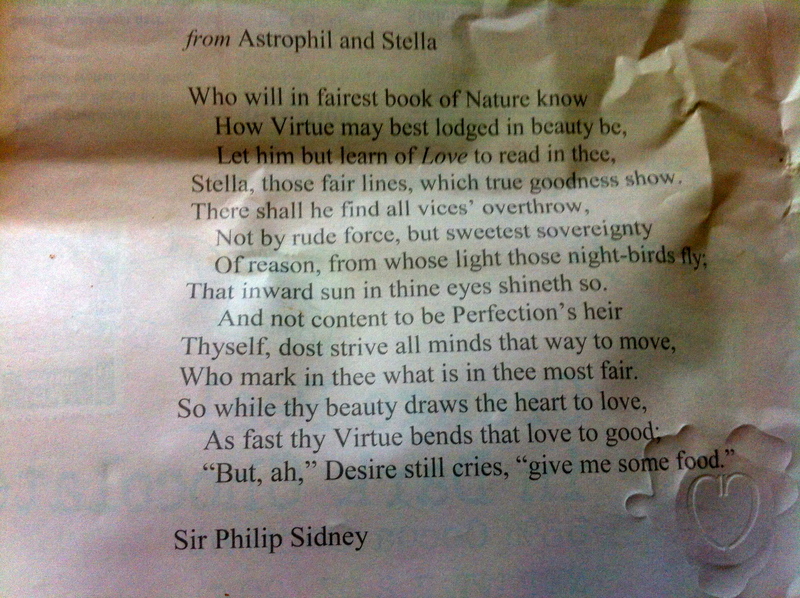 Bonus: the chocolate is wrapped in a sonnet! Just as I was thinking about how thoughtful Lisa is, I found two dog treats in the box. And of course, there were two little faces looking up a me. Thank you, Lisa, for such a wonderful, thoughtful box of goodies. 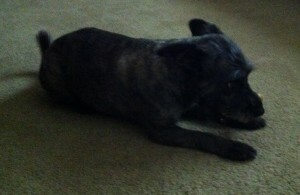 I really enjoyed everything, and I know that my dogs did as well. 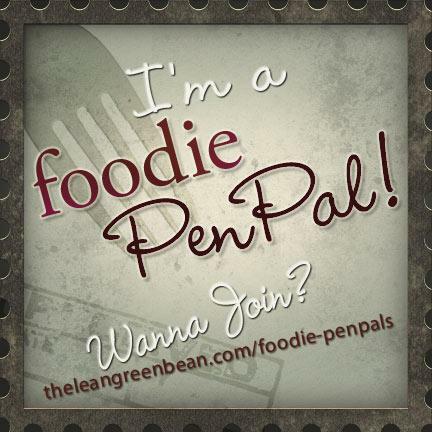 Foodie Penpals is a fun program started by Lesley over at The Lean Green Bean blog. Lesley pairs foodie lovers all over with a differently match each month to receive a box of goodies! 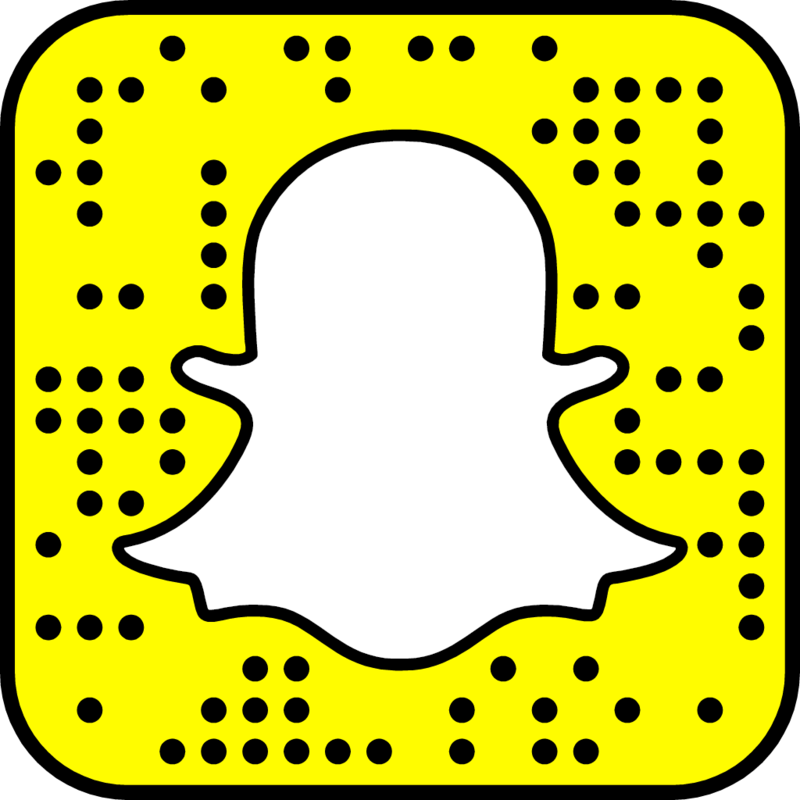 More about the program here.